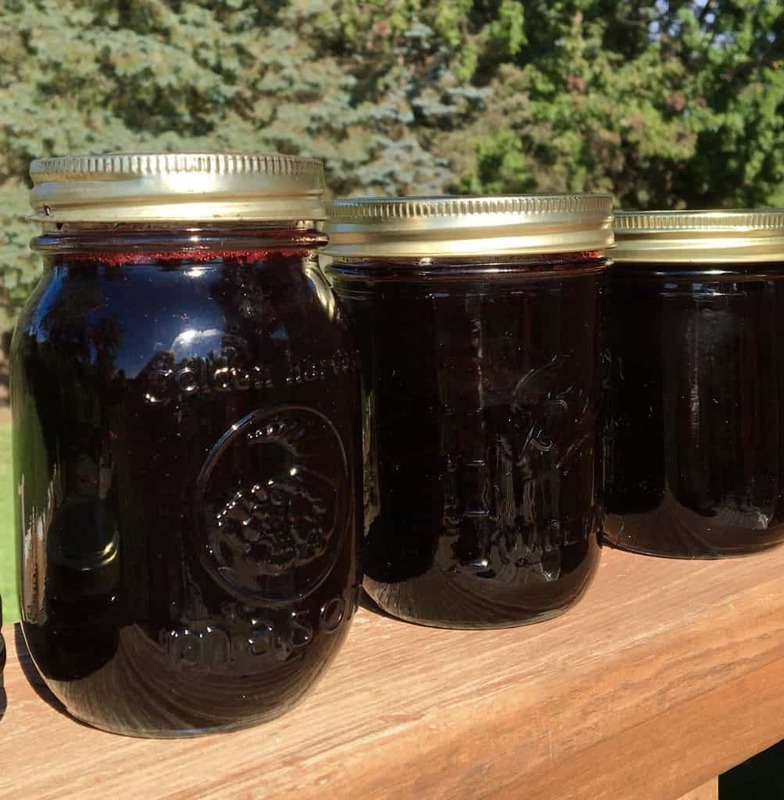 This blackcurrant jam recipe packs a load of nutrients I bet you never even realized! Blackcurrants are an incredible superfruit, but sadly, in the US they’re almost unheard of. The confusion that exists between blackcurrants and currants is incredible. Actually, it’s not even confusion, just misinformation, but it’s causing Americans miss out on a tremendously nutritious super fruit. Let me begin by telling you that blackcurrants need no introduction in the UK. I grew up thinking that everyone knew what blackcurrants were. The flavor was (and still is) one of my very favorites. 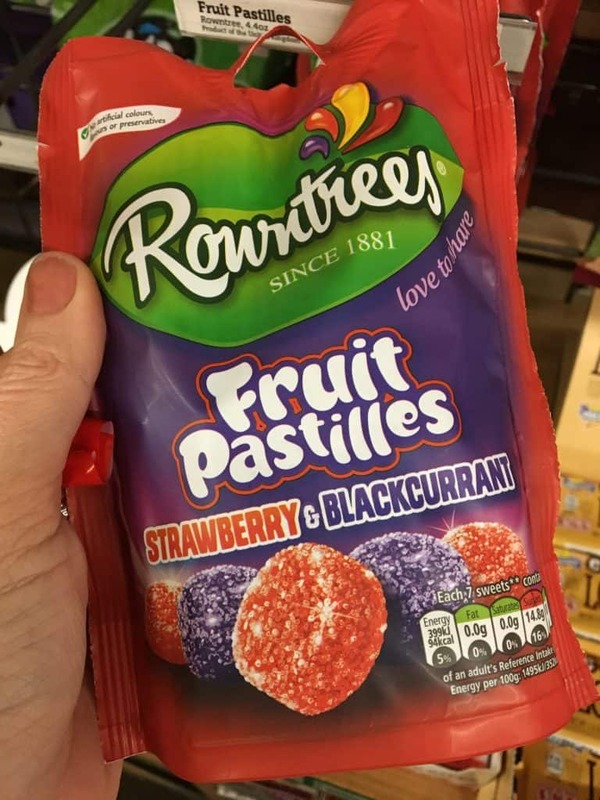 In Britain, everyone eats blackcurrant jam, and fights over the blackcurrant flavored fruit pastilles and fruit gums. One of the most popular drinks in the UK is called Ribena. It’s made from blackcurrants, and in fact, almost all blackcurrants grown in the UK are used to make this beverage. Yes, blackcurrants are a big thing across the pond, so why are they virtually unknown here in the US? It’s rather a long story, but I first learned about the ban on black currants on a box of black currant juice drink that Trader Joe’s carried for a short time. Apparently, some trees were dying on the east coast and somehow the disease was attributed to blackcurrant bushes, so they were obliterated and banned until 1966 (I remember the year because it’s when I was born). However, it was then left up to the individual states. In 2003 ban on blackcurrants was lifted in New York. Now, many of you may be familiar with Zante currants (or Corinthian raisins), which are essentially tiny raisins, right? They are called “currants”, but this is a misnomer as they are dried grapes! Herein lies the problem between distinguishing REAL black currants and with what some companies are calling “black currants”, but are selling dried grapes. You may not think it’s a big deal, but it really is–it’s called false advertising. 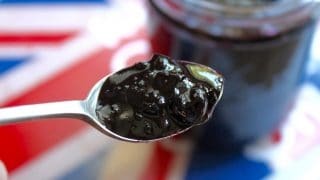 One very large company which sells on Amazon has been called out by so many customers, and given 1 star reviews because they are advertising and selling “black currants”, which are actually Zante currants. Despite these complaints for years, they refuse to change their labeling and Amazon has also not removed the product from its site. What is also really terrible is that someone who has never had black currants (or possibly even Zante currants) before, will have no idea that they’ve been scammed. My mother and I were in a gourmet food warehouse once and came upon large bags of dried “black currants”! We were elated and bought a 2 lb bag each as we’d never seen them in a store before. When we got home, I ripped open one of the bags and threw a handful in my mouth only to discover that they were Zante currants! Dried blackcurrants and dried Zante currants do look awfully similar as they are both dark and small. 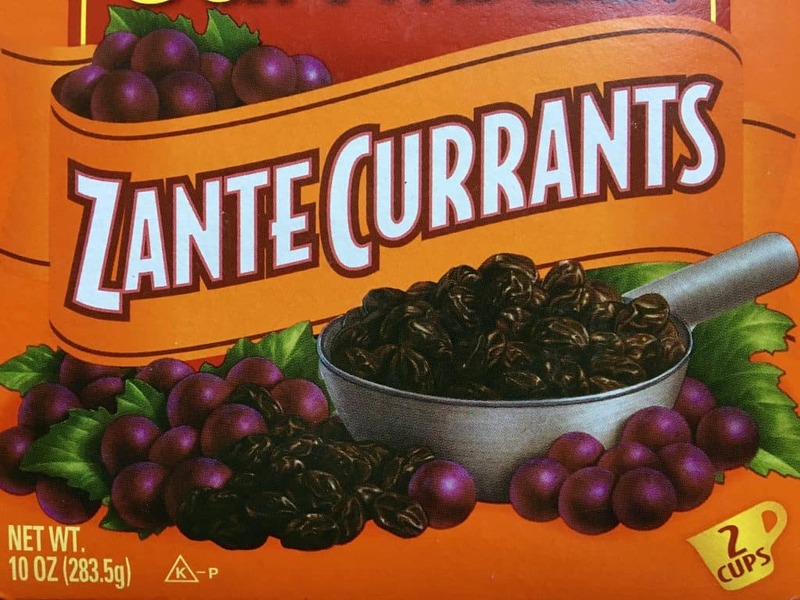 Although I like Zante currants, I cannot tell you how disappointed I was. 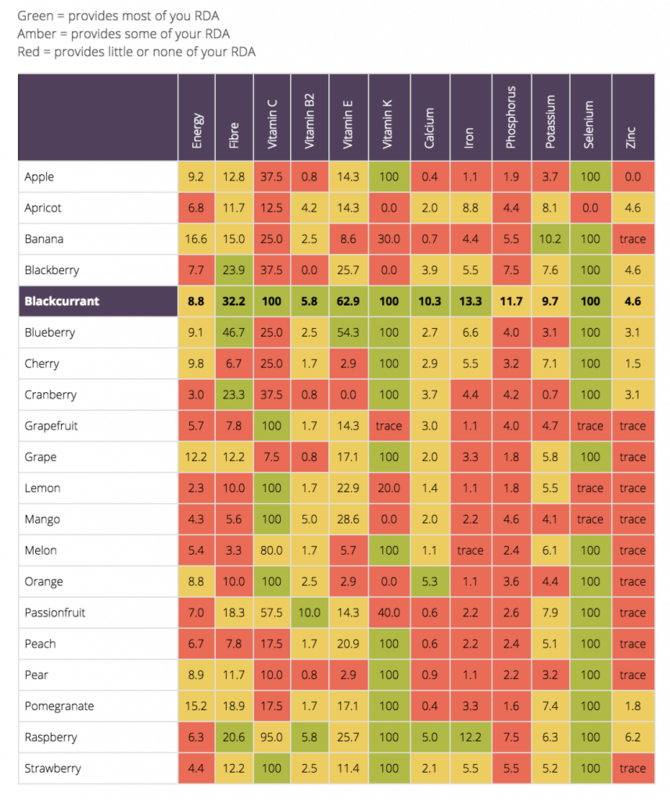 This chart doesn’t even touch on all the studies that have been done which suggest that blackcurrants offer benefits with vision, Alzheimer’s, cardiovascular health, aging and brain function, digestion, and even cancer! They have one of the highest levels of antioxidants that you can find in fruit (read more here). Blackcurrants are sour little things, so most people don’t eat them fresh like raspberries or strawberries. Instead, they are often mixed with other fruits, or made into jam, compotes or syrups. Blackcurrants are wonderful when mixed with apples in a crumble or with other berries for all sorts of desserts. You can even make gelatin squares with the concentrate. They are also used in savory dishes, and as you’ve probably guessed, the possibilities are endless. 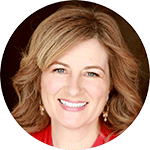 Here are some recipes from a few of my blogger friends–just click on the photos for the recipes. The first thing I made with my frozen blackcurrants was a batch of jam! I miss blackcurrant jam so much and being able to make it myself was fantastic as I can make it exactly how I like it. 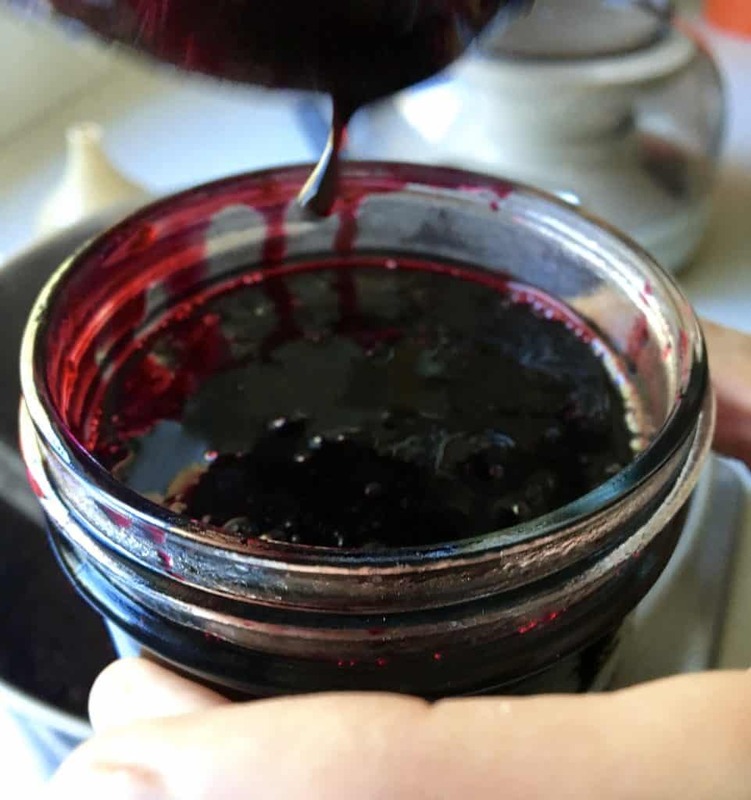 Blackcurrant jam is one of the easiest jams to make as it doesn’t need pectin, and sets really well on its own. The measurements aren’t critical either, so feel free to add more sugar if you like your jam a bit on the sweeter side, or less if you really are into the tart flavor. 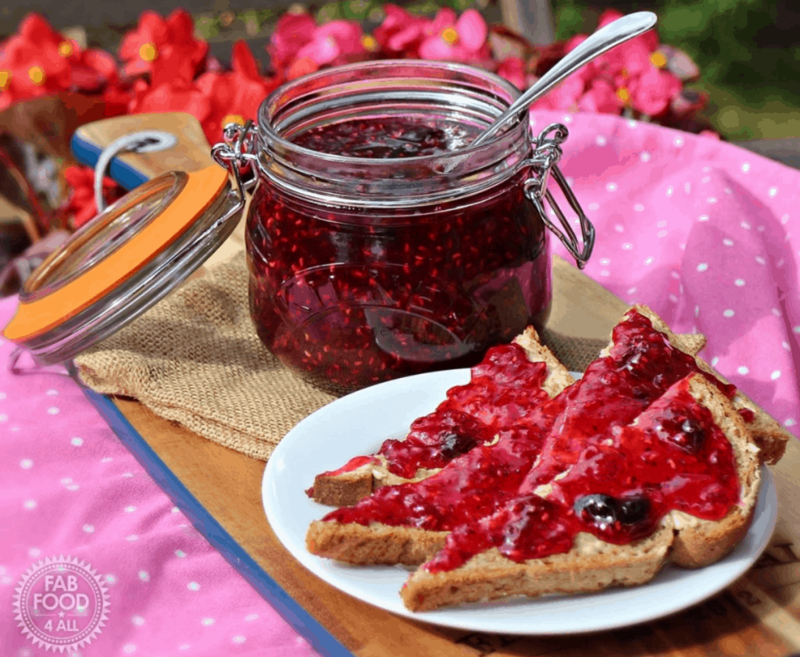 This blackcurrant jam recipe is easy to tweak to your liking. Place the black currants and water in a heavy pot over medium low heat. 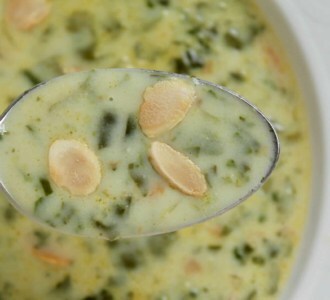 Cook the fruit for about half an hour or longer, stirring occasionally, to soften the skins. Increase the heat to simmer the jam briskly while constantly stirring. Use a candy thermometer to bring the temperature of the jam to 215°F (101.5°C) which should be reached in about 10 to 15 minutes. 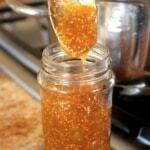 Pour into warm, dry jars which have been rinsed with boiling water, along with the lids. Process to seal, if desired, but you can just keep it in the fridge to be on the safe side. I make sure to hear/see my lids pop to ensure a seal. Jam from my blackcurrant jam recipe. 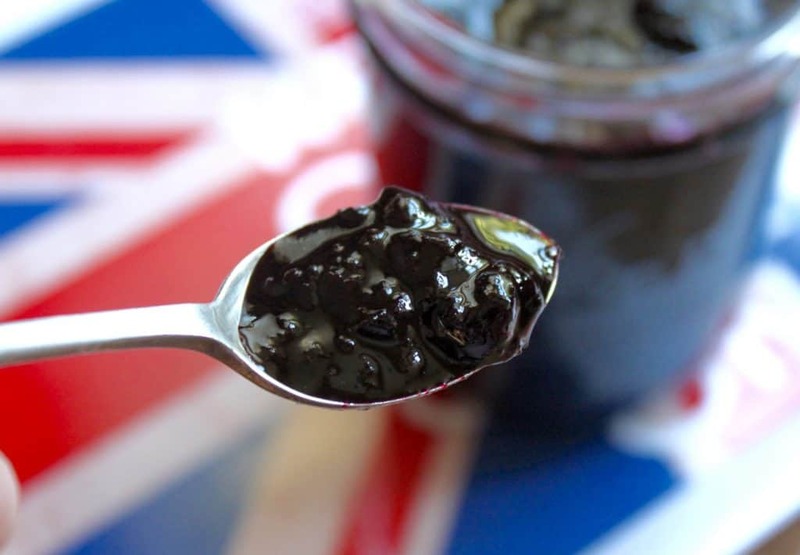 A classic British jam made from blackcurrants (no pectin). My late dad, here in the UK, used to grow blackcurrants in the garden. We never got around to making jam as my brothers and I ate them straight from the bush. When plump and ripe the acidity is balanced perfectly by sweetness but the fruit is quite delicate. I’ve never seen them dried or frozen but have bought commercially produced jam which is just too sweet. Christina – my favourite fruit, too. I’m now inspired to take some cuttings from a friend’s bushes in a local allotment. Thanks. Oh yes, that’s a fabulous idea if they grow where you live! I can’t grow them here in SoCal or I’d have bushes and bushes of them! Lucky you! Good luck with them! Wanted to stress that there is a red (and very sour!) type oF currant as well. But I can see that other people have posted comments about it. I myself prefer the black variety for most occasions. I am told that there is a white currant type too, but I have never tried those. * Creme de cassis, the French sweet sticky liqueur made from black currant is just delicious. 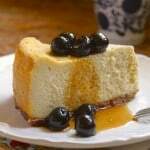 * Thick black currant jam drizzled over and lightly mixed in a glass of Greek yogurt is a dessert made in heaven! And something anybody can make. * Vanilla ice creme with a splash of black currant concentrate. Just great. * Black currant rum. Sounds weird? 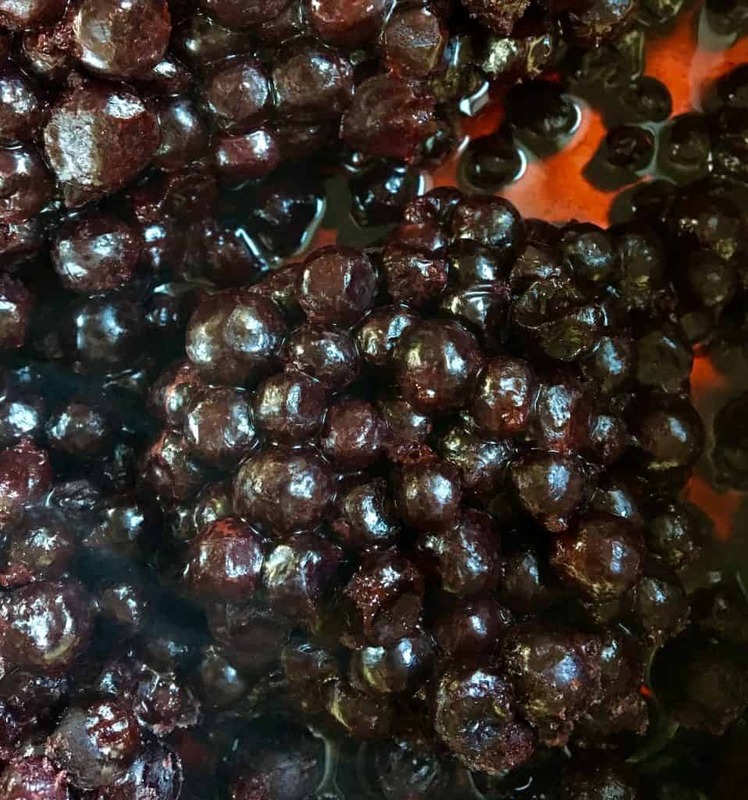 It’s a specialty made and sold in Denmark (of all places) for more than a hundred years, but you can try to make your own version if you like: Blend black currants with dark rum and add some muscovado sugar. Let it seep for a fortnight or more, then strain. You could add a few anis seeds and other herbs to experiment. I know about white and red currants, and the other suggestions, except for the blackcurrant rum! Oh wow, that sounds wonderful! I think I might try that! Thank you! Thank you for this discussion. 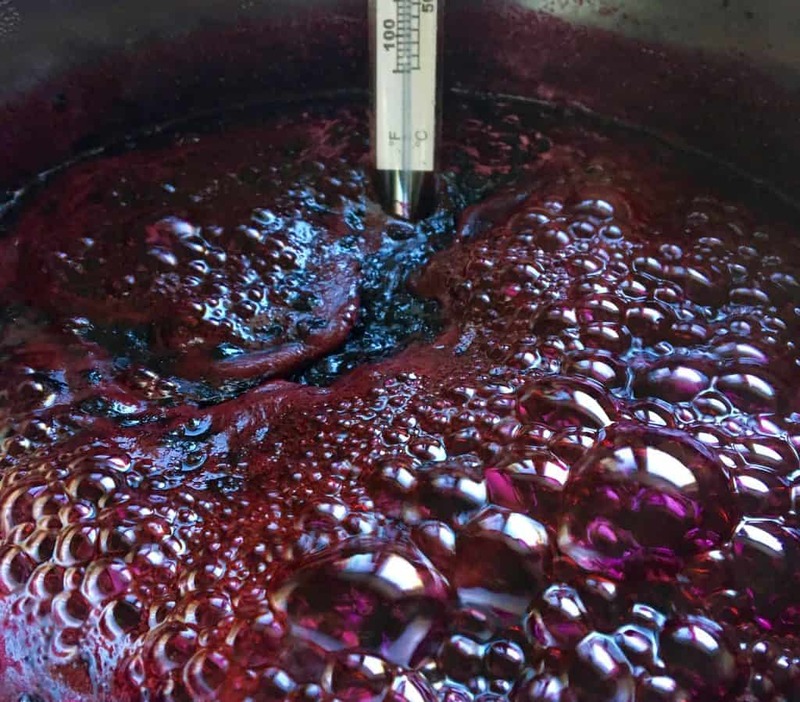 I’m mostly familiar with black currants from the French creme de cassis, used in making the drink kir , and in a fabulous blueberry pie recipe I make. 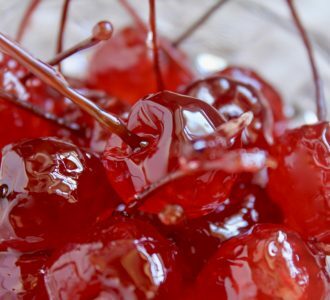 I lived for a brief time in London and it was the first time I had ever seen fresh currants, both black and red as well as gooseberries – both fruits I had only seen in pictures. What a treat! Also all sorts of other berries I had never heard of. Between that and the different varieties of cream, it got so that my husband finally asked if we could have something other than berries and cream for dessert! Oh lucky you! I miss all those berries SO MUCH! 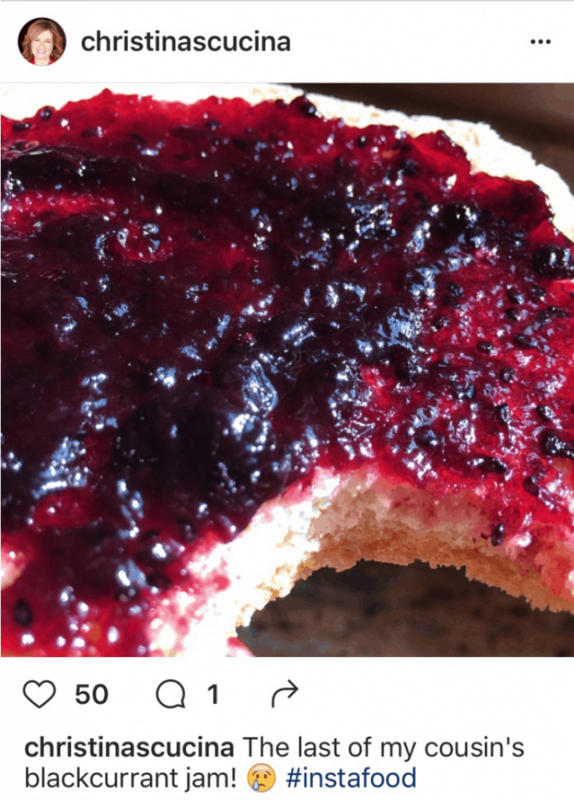 I live in Newfoundland Canada and we have always had Black Currants….my favourite for jam and muffins! You don’t know how lucky you are, Audrey! Enjoy them! You are correct about the cooking of fruit, and let’s not get into the addition of sugar, however, in my opinion, your perspective is a bit skewed. Must we eat everything in nature as is? That’s taking it a bit too far, I think. Go ahead and eat your black currants “as they are” (and good luck as they’re so sour), and I’ll eat mine in jam every now and then. I like to be a bit centered in life. Being off the scale in one way or another (eating raw with no added anything vs. totally processed) just isn’t my cup of tea. Yes, enjoy as they are from the bush if you can. Some fruit can taste sour. most probably because we have become so used to piling on the sugar and therefore have warped our taste buds. I have three varieties, Ben Alder, Ben Hope and Ben Lomond. I prefer the Ben Alder, very sour and tasty raw. Ben Hope are much sweeter, some will prefer them, but not so tasty in my view. I made jam yesterday using the same recipe minus the lemon. Beautiful. So easy to grow. And the birds are not eating them. You can eat black currants raw, but I am willing to bet that you will not eat half a handful before your mouth revolts! :-D They are extremely astringent raw. even from are pure health perspective, consuming prepared or cooked black currants is desirable for several reasons. First of all you will eat more of the berries that way, and maybe even on a regular basis. 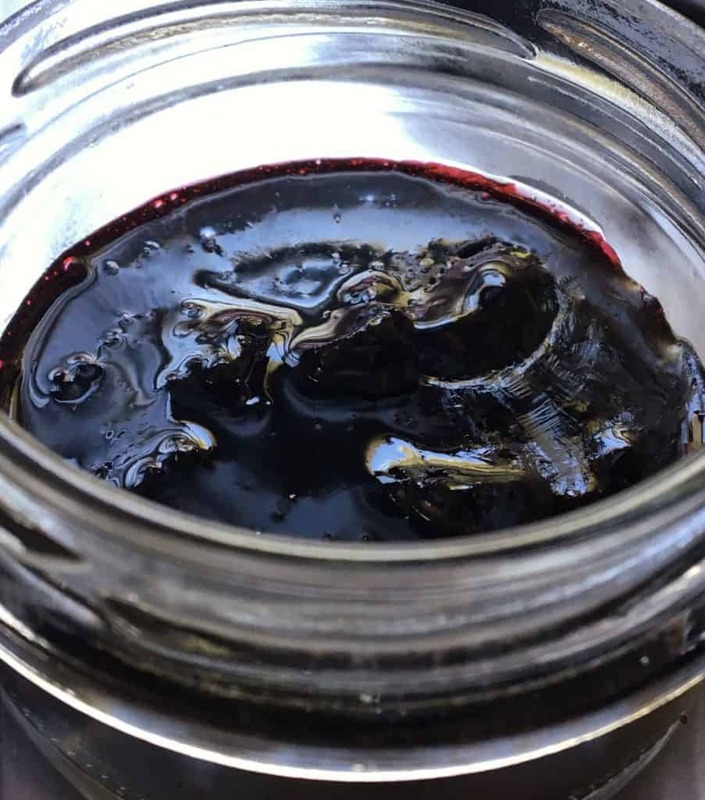 Perhaps this is most notable with black currant jams or juice concentrates. Secondly, eating the phytonutrients with other nutrients, including healthy fats, will increase their uptake. 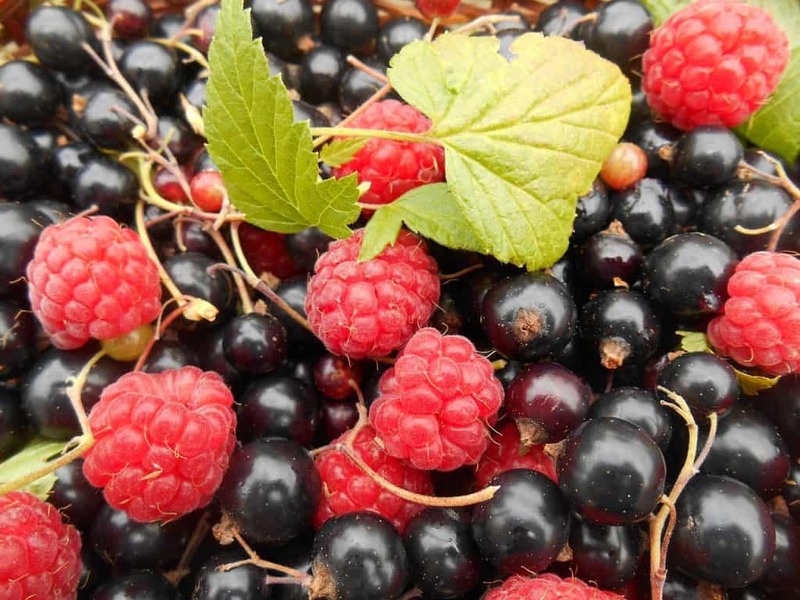 In the case of some berries – perhaps not black currants – cooking is needed to destroy phytotoxins, ie. natural chemicals that both makes you sick and hinders the uptake of the healthy substances. Can you tell me where you get yours please. Looking to get some. How much per lb. Thank you so much for the information Christina. 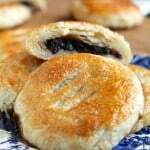 I’m English so I grew up with blackcurrants – in jam, pies, Ribena. My Mum grew her own blackcurrants so we always had lots of them … and I know how time-consuming they are to pick. My Mum made the best blackcurrant jam, absolutely loaded with fruit, and I really miss it. I just assumed I couldn’t buy blackcurrants here in the US as I’ve never seen them anywhere – thanks for the explanation on the history. 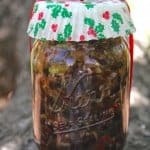 I’ve bought jam online but it’s nothing like the homemade. I’ll give your recipe a try. Thank you!! I purchased two Ben Connan Blackcurrant berry trees from a nursery and the taste is spectacular. Are these the same black currants you are referring to? They produced gobs of taste fruit. I was told they were supposed to taste bad. I also purchased two other currents from Walmart and the fruit form them tastes really bad to the point there is no way I will eat it. I took a handful of the Ben Connan Blackcurrant berries and threw them in one of my raised flower beds last fall. This spring as I was weeding I couldn’t figure out what kind of invasive tree was growing out of my flower bed. They turned out to be over 40 blackcurrants seedlings. I know they don’t produce until their third year but wonder if all these seedlings will produce tasty fruit. Anyways, I only have a 1/2 acre yard and am going to try to find a way to pant all of them. I removed all the seedlings and planted them in separate pots and placed them in my greenhouse. I was just excited to have free trees since I had to pay $25 for each of the blackcurrants form the nursery and wanted to share my excitement. Oh my goodness, Chad! You are SOOOO lucky! YES! Black currants are so tasty, but sour, so maybe someone who told you they were bad was referring to the sour taste? I can’t imagine Walmart selling anything black currant. So glad that your seeds sprouted and you’ve been blessed with more seedlings! You’ll be able to dry them, bake and cook and make tons of jam! Lucky you!! Enjoy! I did not see how to start a new comment, so I am replying to this one even though my comments are unrelated to this specific post. I take a minor issue with you calling your black currants the official use and specific to the plant grown in England. The use of “currant” arose with the Greek variety, the Zante currant, with “currant” deriving from the city of Corinth where the variety was first cultivated. So, your article implies the use of “currant” is somehow how the sole domain of the black currant grown in the UK, when, in reality, your variety is the usurper if it is not the Zante varietal. Your comments may should have focused on the use of the adjective “black” vs. currant to claim exclusivity and the specificity you seek. You then can claim exclusivity to the specific variety but you cannot claim exclusivity based upon “currant”. So, someone selling “black currants” online that are actually selling Zante currants are misleading the public because “black” currants are not the same as Zante currants. Dried grapes from Corinth are “currants”! If your fruit wants to be called currants, then it is this use that is a misnomer. So, your agent should be for the usage of “black currants” to be the sole domain of those grown from the plant variety grown in UK. Then you could stop others from selling other types of currants as such. But you cannot claim exclusivity on the use of “currants”. I adore blackcurrants so much! And Ribena is one of my favourite squashes to have in the house! I had no idea there was any confusion between currants and blackcurrants, but I am in the UK so that’s probably why; love your jam recipe too. Homemade jam is the best! I’m all over these! I love black currants, they are the perfect snack too. Such a great article! I have never tried a black currant! Hi Christina: Is there a small typo with the sugar? Should 2 lbs of sugar be 4 1/2 cups? I do use a scale so I went with lbs. Just wanted to let people in southern New England know, I bought black current (and red current, and gooseberry) bushes from Nourse Farms in Whatley, MA. It took several years to get going, but it’s really awesome having them in your backyard! I am truly appreciative of this post because I’ll never forget the disappointment I experienced over buying a box of Zante currents. Ugh!!! Hi, I grew up on blackcurrants, and the only drink my 4 year old grandson drinks is his “red water” (Ribera). On a trip back to the U.K. I was lucky enough to experience a Blackcurrant Merengue Pie at a local pub. it was amazing and I have never been able to replicate it. Using just straight blackcurrants is way to strong a flavour and too sweet, would you have any ideas? That sounds amazing, Pauline! 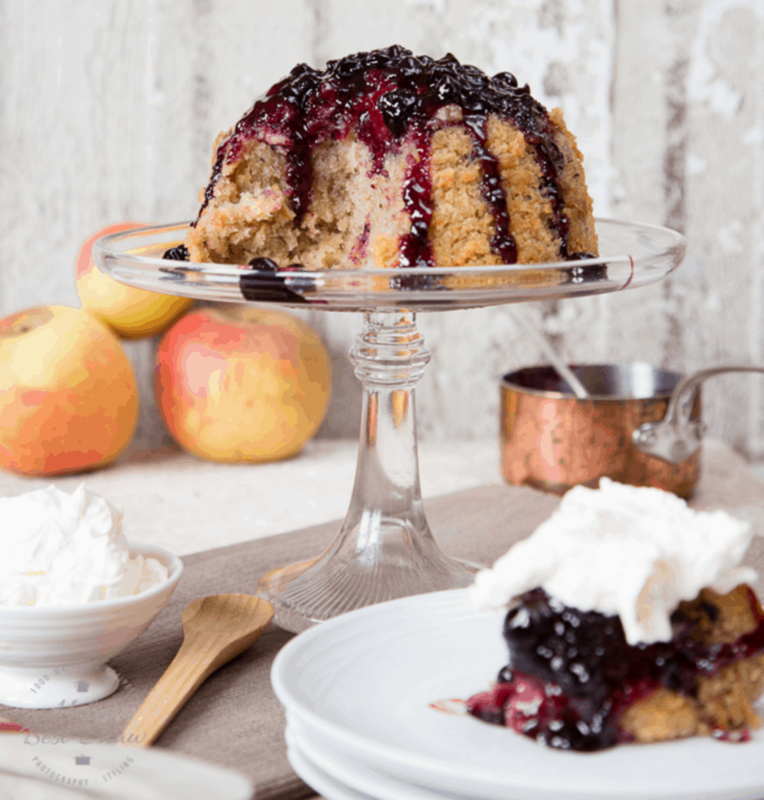 Yes, the blackcurrants would had to have been made into a filling with sugar and some sort of thickener, maybe even some applesauce or something? Have you written to the pub to ask for the recipe? I’d love to try it myself! I believe redcurrants and blackcurrants (ribes nero) are related. CurrantC is located in NY. Have you tried blackcurrants, Frank? Don’t believe I have… but now I want to! 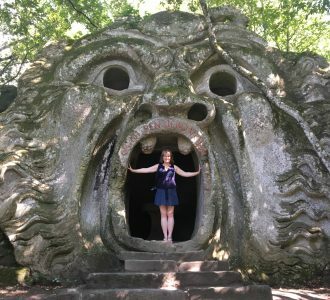 What a great article on currents! My in laws grow them and make jam. Guess I need to ask for more jam from them! I have a huge amount of blackcurrants growing in my garden right now. They’ll definitely be lined up to go in some jam, and some homemade cordial too. Even though I’ve been a huge fan of blackcurrant jam, I’ve been oblivious to the difference between currents and blackcurrants so thanks so much for teaching me something new. 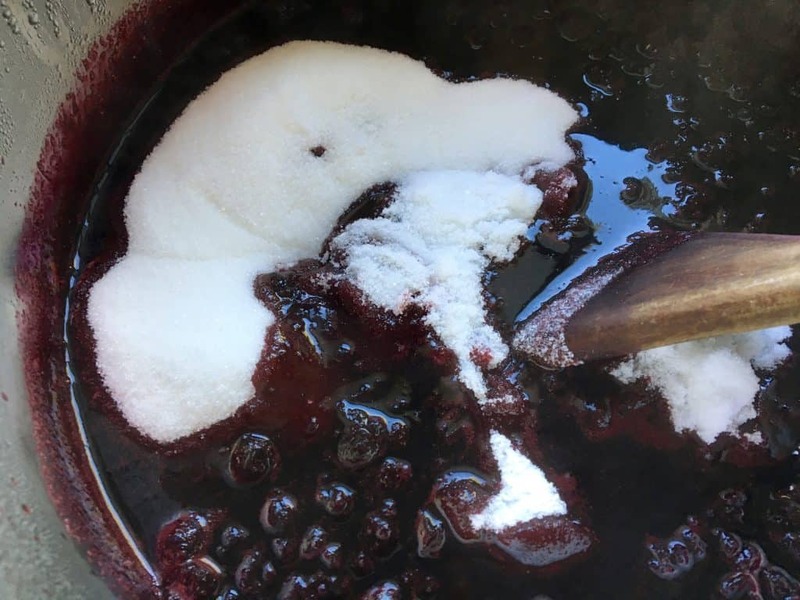 And for the recipe for your blackcurrant jam – it looks so delicious! What a great informative post! We love using blackcurrants to make homemade jam. Great post Christina. We are a blackcurrant loving family and one of our summer highlights is going to our local PYO farm, loading up on blackcurrants and turning them into jam. Each jar lasts about 3 days once opened, so we have to ration them and ensure a pot is saved for Christmas-time. I’ve only recently begun to realise that they are more of a British fruit and now, thanks to you, I know why that is. 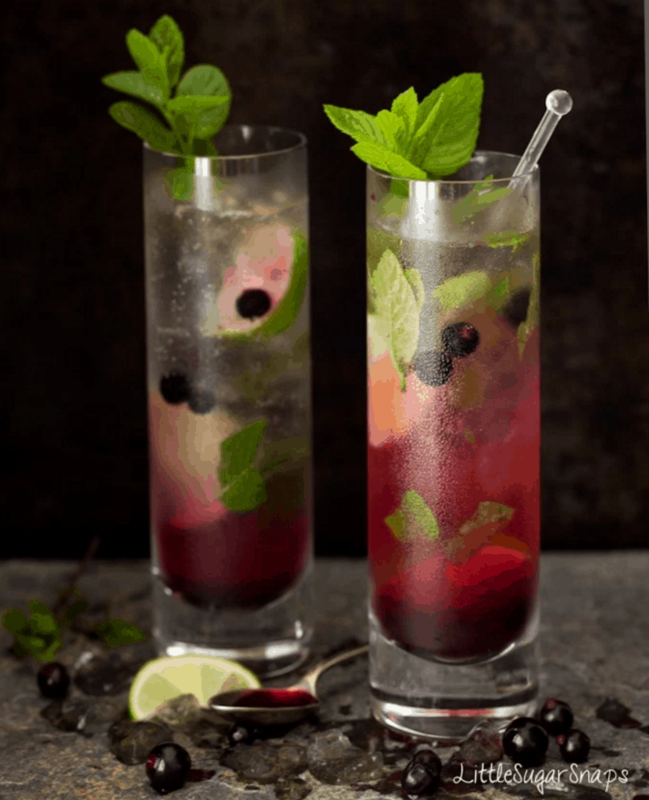 Thanks for including my Mojito recipe. PS. If you even get the chance to buy some blackcurrant jam from Raymond Blanc @ Le Manoir aux Quat’Saisons do it – it’s expensive but unbelievably good. Oh, what I’d do to be able to go pick my own blackcurrants! You are so very fortunate! I just hope backcurrants make their way back into the US to take its place with all the other well-known fruits here! Thank you, Jane! Christina, I’m so glad you explained all of this blackcurrant confusion. I posted a recipe a while back and some people on Facebook said – looks good but we can’t get blackcurrants in the USA and I was baffled. Heard about the ban but just stopped there. Thanks for shedding light on the subject and good luck for re-introducing them. 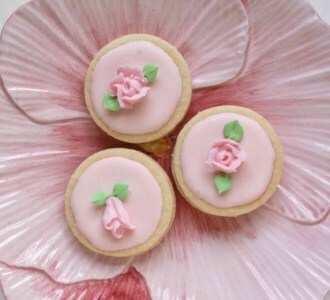 I love them – even looking at the sweeties, I remember the taste of them growing up! Love blackcurrant jam – and yours looks just perfect. Isn’t it sad, Jill? What upsets me most are the big companies selling currants as blackcurrants to unsuspecting consumers. It’s just so wrong! Well, you can bet I’m going to keep fighting to get blackcurrants into mainstream America’s vocabulary and kitchens!! :) Thank you so much! Thanks, once again, for all the great information. We lived in Australia for a year and loved the Ribena drink. 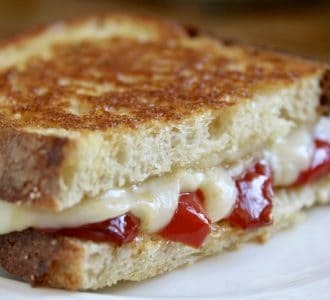 Would you consider posting a list of food products/ingredients that you like and have in your pantry? 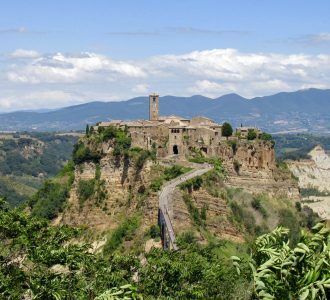 I’ve found the Kerrygold butter you recommended, and have De Cecco Pasta and Cranberry (Borlotti) Beans on my “to buy” list. Sure, Jeanne! I’d be happy to. Glad you found Kerrygold, isn’t it so good? I just loaded up on De Cecco pasta tonight as it was on sale at Smart and Final (I won’t tell you how much I bought)! I’ll put a draft in my posts to do a “What’s in my kitchen” sort of list for those who are interested. Thanks for the idea! Great info! I wasn’t aware of the ban history in the U.S, only that black currants are virtually unheard of here. 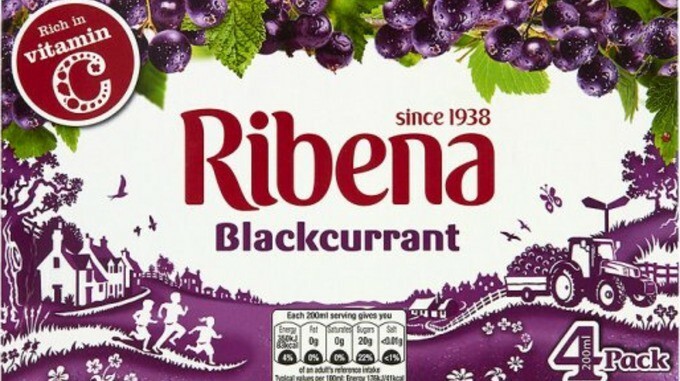 I lived in England for 7 years and YES, there’s black currant *everything* and *everywhere*. Similar to Germany where red currants have always been popular and also virtually unknown here (I especially miss those). So this past Summer we went to a plant nursery and bought several black and red currant bushes so we can finally have a source of both! I made my first batch of black currant jam since I’ve been in the U.S. as well as one my favorite German red currant cakes. Heaven! I’m not familiar with CurrantC and appreciate the info, I look forward to checking them out. Oh yes, you are very fortunate that you can grow them in your climate, Kimberly! It’s perfect for them in the Pacific Northwest! I love redcurrants, too, but blackcurrants are my favorite. Glad you saw my post about CurrantC! WOW I had no idea. Now I can’t wait to taste the real black currents. Awesome, Cathy! Let me know what you think. I love to snack on them, but I think they’d be great in scones and baked goods, too! They were too precious for me to bake with when I had them last! Can you believe it, Camilla? It’s like they’ve been cursed over here! I’m with Greg and fighting to bring them back with a vengeance! Wish us luck! Lovely to see blackcurrants promoted on your page, Christina. It’s actually really difficult to buy them in the UK, probably because they are all going into Ribena! I’m so glad I have my own blackcurrant bushes in the garden. 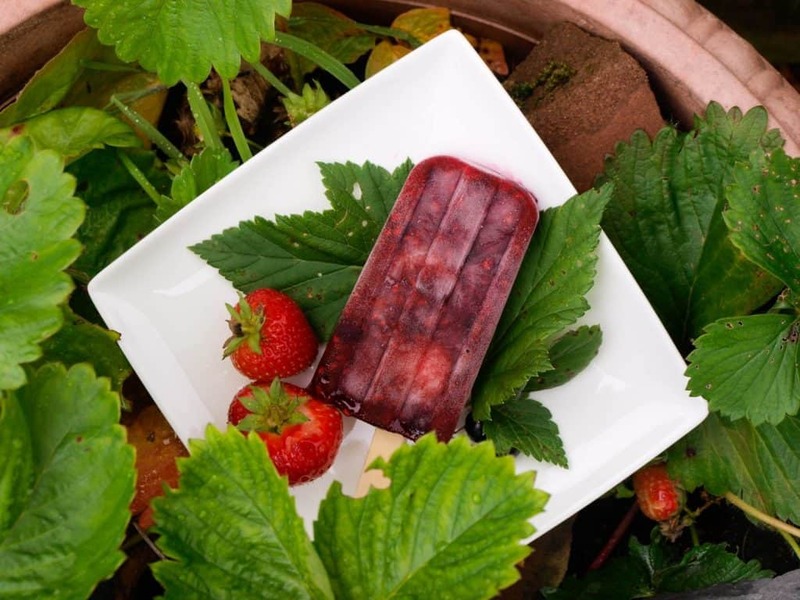 Thanks for featuring my Summer Pudding lollies, Summer Pudding is impossible without blackcurrants. The jam looks fab, but what really got my attention was the amount of calcium, iron and vitamin C. I’m a new convert. Thanks for all the info. Awesome! Happy to hear it, Judy!